A new trailer for Ridley Scott’s The Martian has been released – and does it look good or what?! 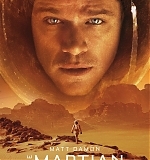 Starring Matt Damon, Jessica Chastain, Kristen Wiig, Chiwetel Ejiofor, Jeff Daniels, Sebastian Stan, Kate Mara and many more, the film tells the story of Astronaut Mark Watney, presumed dead after a fierce storm during a manned mission to Mars, and left behind by his crew. With only meager supplies, he must draw upon his ingenuity, wit and spirit to subsist and find a way to signal to Earth that he is alive. Watch the new trailer and the first TV spot in our video archive, check out HD screen captures and a new poster in our photo gallery. 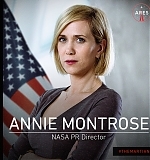 The Martian premieres next month at the Toronto International Film Festival, and lands in theaters on October 2.